Any Research or Information to help fill in the blanks will be greatly appreciated. Wisconsin May 29, 1848 30 Yes N.W. Terr. Publ. Minnesota May 11, 1858 32 Yes N.W. Terr. Publ. 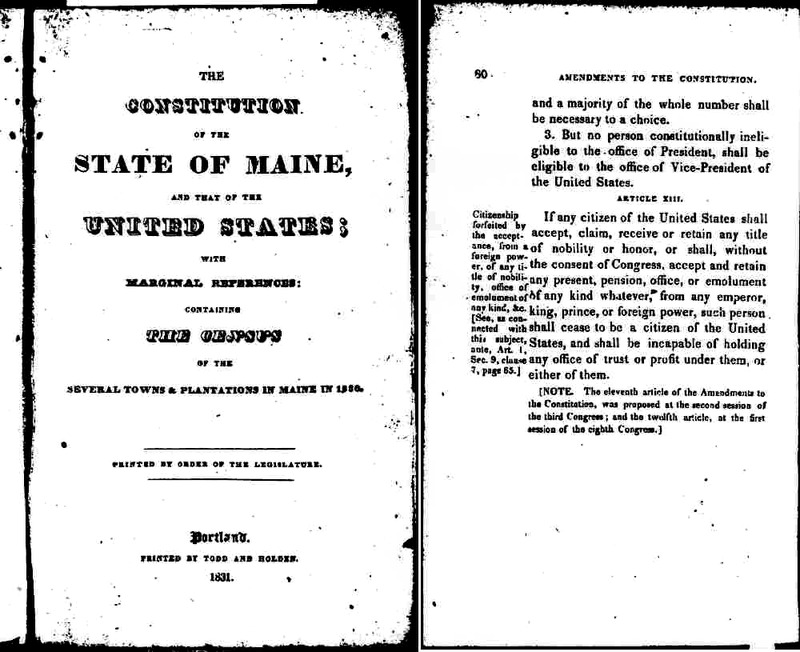 Of the first 24 states, Delaware thru Missouri, all but three have either ratified the Thirteenth Amendment or recognized it in their official publications. New York rejected ratification and we have not uncovered any official New York publications. It is not known whether definitive action was taken in Alabama or if that state had any official publications showing the Thirteenth Amendment. 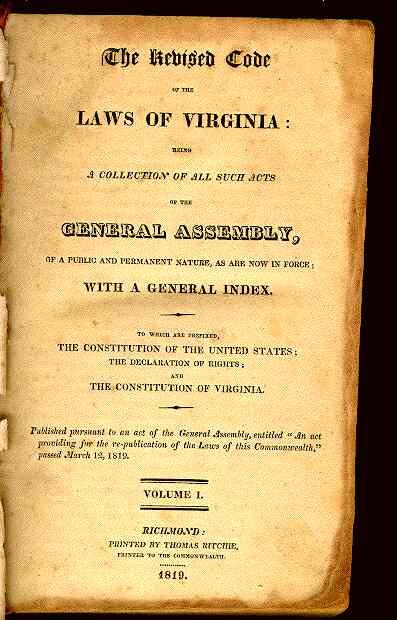 Christopher Runkel of the National Archives acknowledged in 1994 that Virginia ratifed the original Thirteenth Amendment on March 12, 1819, and the evidence of the ratification by Virginia is the special printing of 4000 copies as part of their organic state laws. All of the other States, except New York, had either ratified the Thirteenth Amendment or published it as part of their organic state laws before the admission of Arkansas in 1836. 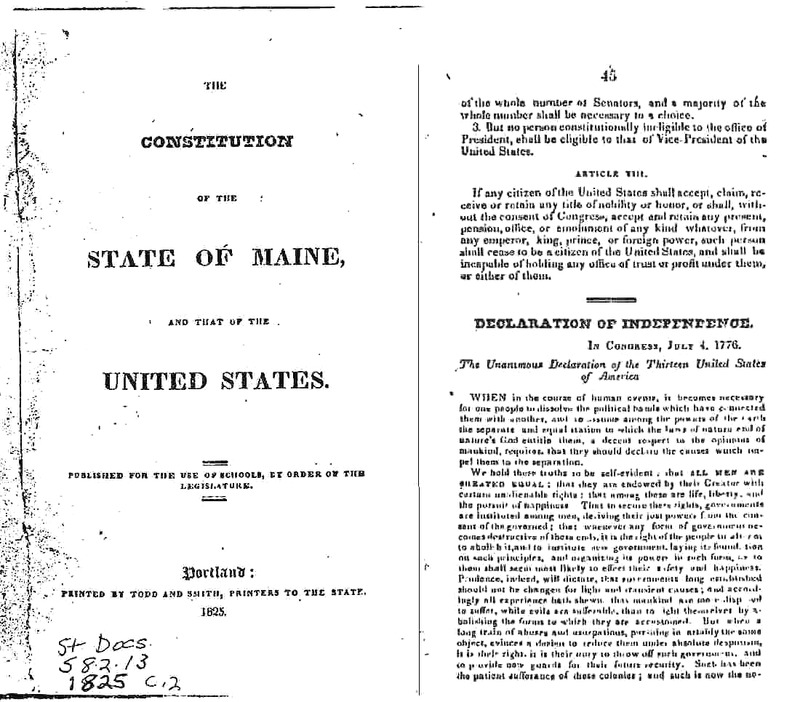 By the time Iowa was admitted, the original Thirteenth Amendment had been included in official publications in every state except New York. 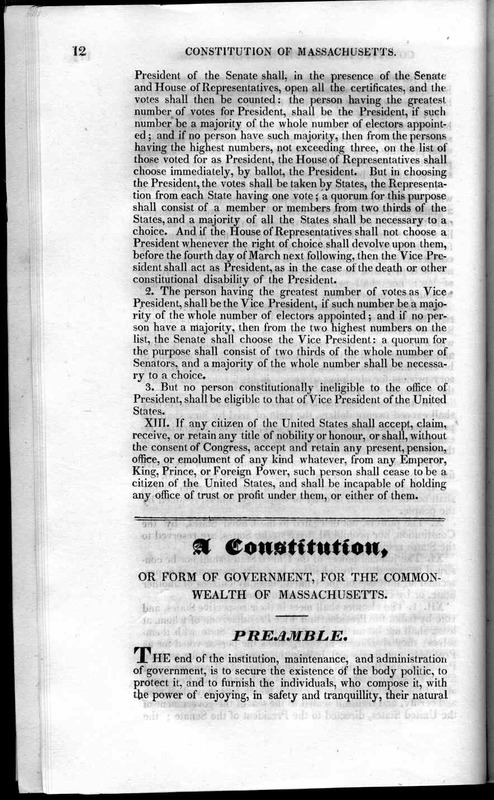 The State of Rhode Island, which had rejected this Amendment in 1814 included it in their official publication of 1822. Two copies of the five volume Bioren and Duane publication, "The Laws of the United States of America, from the 4th of March, 1789 to the 4th of March, 1815" are available in the archives of Yale University and we have an excellent set in our possession. 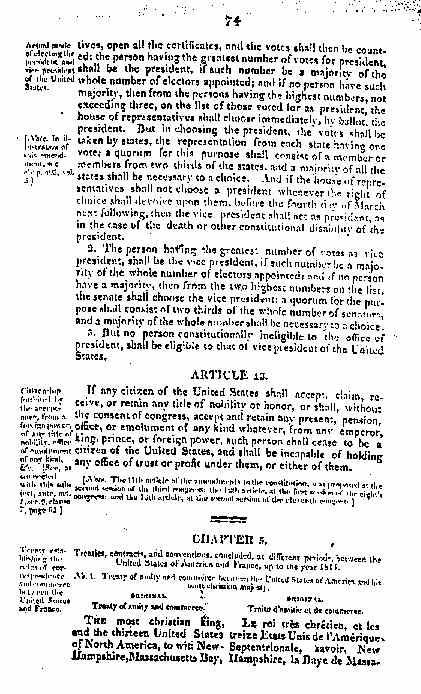 In the text of the U.S. Constitution given by Bioren and Duane, on page 74, the "Titles of Nobility" section is listed as Article XIII and the notation given indicates that it was passed out of the Eleventh Congress in the Second Session. 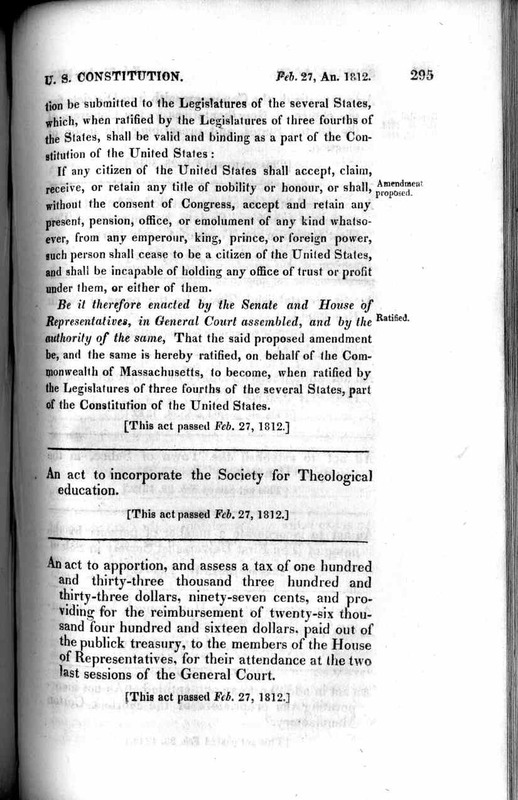 The Bioren and Duane edition of 1815 was published by an Act of Congress. 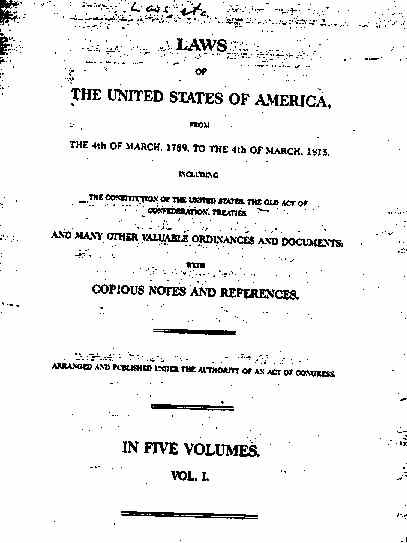 This publication, in five volumes, represents the first authorized edition of the Laws of the United States and the U.S. Constitution issued following the destruction of the Library of Congress and the other records of the government by the British army in 1814. 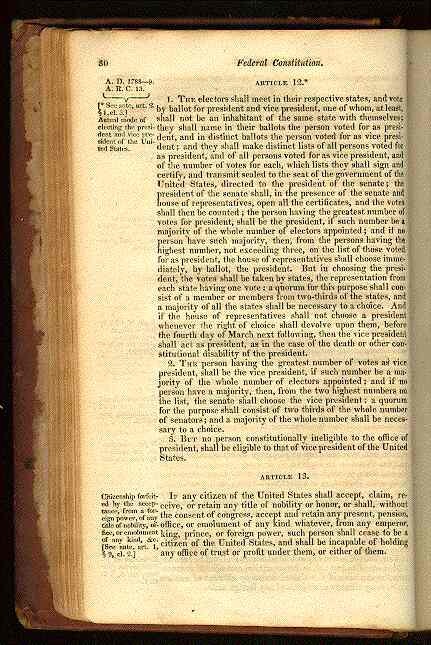 The lawmakers then seated as the Thirteenth Congress authorized the spending for this special edition on February 16th, 1815. 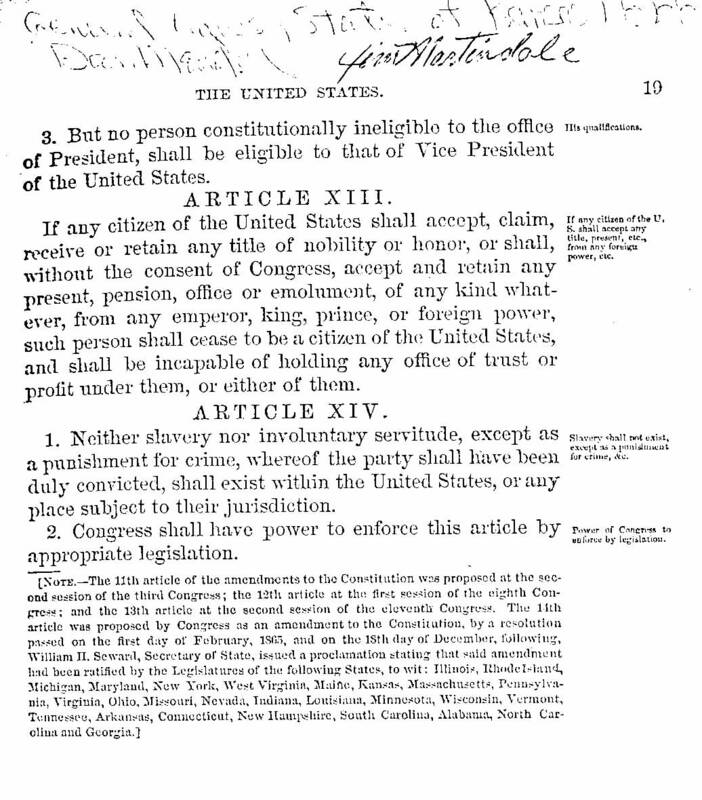 This was official recognition of the ratification of the Thirteenth Amendment by the Congress of the United States of America. All constructions of jurisprudence rely on the precise meaning of "ratify," i.e., "to approve or confirm, to give formal sanction to," which is precisely what a state or territory does when it publishes its laws and the U.S. Constitution together. These are the foundation documents of our Republic. We must not forget how expensive it was to make and publish books in the early part of the 1800s, and with what reverence a well-printed book was treated. That so many books from this era have survived is a testament to the skill and dedication of our pioneer printers. 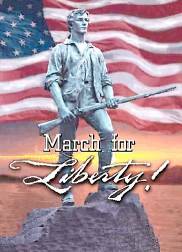 And today, we must never forget the skill and dedication with which our Founders forged the Constitution for the United States in the formation of the Republic of the united States of America to insure Liberty and Freedom and Justice for All! Truth will tip the scales and remove the blindfold from Justice.